Nazism triumphed in Germany during the high era of Jim Crow laws in the United States. Did the American regime of racial oppression in any way inspire the Nazis? The unsettling answer is yes. 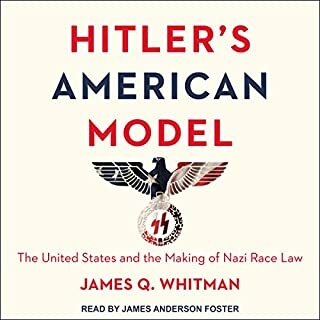 James Whitman presents a detailed investigation of the American impact on the notorious Nuremberg Laws, the centerpiece anti-Jewish legislation of the Nazi regime. At the end of the Second World War, some of the highest ranking Nazis escaped from justice, Aided and abetted by the Vatican, they travelled down secret 'rat lines' and were taken in by shady Argentine secret agents. Vengeful Holocaust survivors and inept politicains attempted to bring them to justice and there were daring plots to kidnap or assassinate the fugititives. 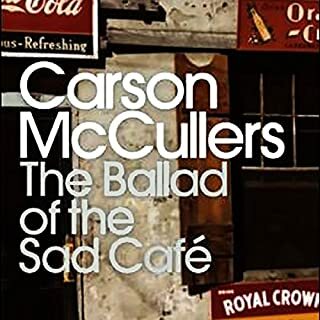 A classic work that has charmed generations of listeners, this collection assembles Carson McCullers's best stories, including her beloved novella The Ballad of the Sad Café. A haunting tale of a human triangle that culminates in an astonishing brawl, the novella introduces listeners to Miss Amelia, a formidable southern woman whose café serves as the town's gathering place. No one has ever written the history of the Defense Department's most secret, most powerful, and most controversial military science R&D agency. 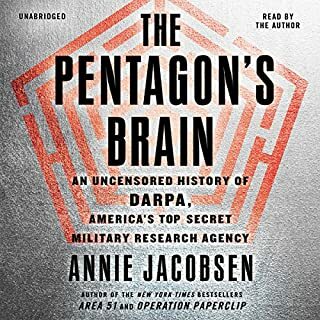 In the first-ever history of the organization, New York Times best-selling author Annie Jacobsen draws on inside sources, exclusive interviews, private documents, and declassified memos to paint a picture of DARPA, or "the Pentagon's brain", from its Cold War inception in 1958 to the present. Best-selling author Neal Bascomb has garnered critical acclaim for such riveting nonfiction as Higher and Red Mutiny. 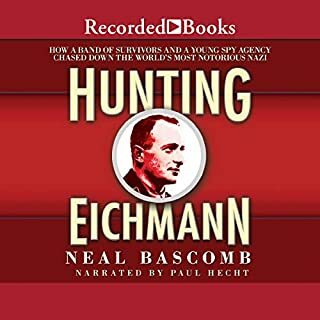 Based on extensive interviews and previously classified details, Hunting Eichmann is a compelling account of the relentless hunt for the nefarious Adolf Eichmann. 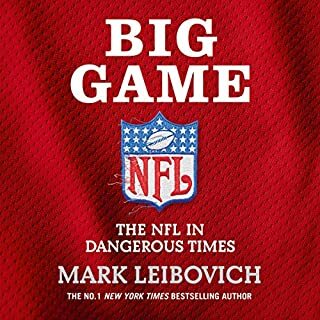 From the number-one best-selling author of This Town comes a thrillingly raw and hysterical account of the billionaires, crooks, charlatans and scoundrels that own and run the NFL. American Football - with its celebrity players, billionaire owners, and cheerleaders with flawless teeth - is more American than apple pie. Which is why celebrated New York Times journalist Mark Leibovich has chosen football as the vehicle through which to examine the troubled state of Trump’s America. The shocking story of how America became one of the world's safest postwar havens for Nazis. Until recently, historians believed America gave asylum only to key Nazi scientists after World War II, along with some less famous perpetrators who managed to sneak in and who eventually were exposed by Nazi hunters. But the truth is much worse, and has been covered up for decades: the CIA and FBI brought thousands of perpetrators to America as possible assets against their new Cold War enemies. When the Justice Department finally investigated and learned the truth, the results were classified and buried. 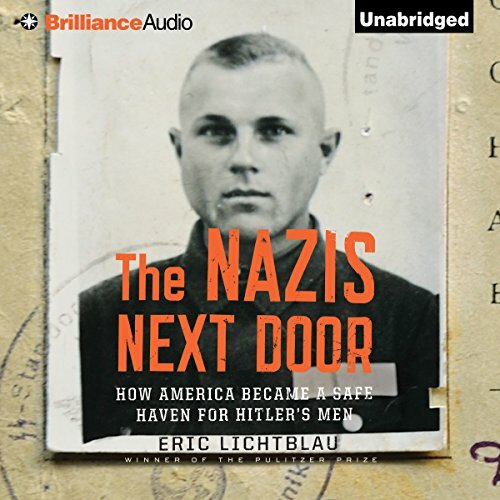 Using the dramatic story of one former perpetrator who settled in New Jersey, conned the CIA into hiring him, and begged for the agency's support when his wartime identity emerged, Eric Lichtblau tells the full, shocking story of how America became a refuge for hundreds of postwar Nazis. ©2014 Eric Lichtblau (P)2014 Brilliance Audio, all rights reserved. It’s informative, passionate and suspenseful all at the same time. Part of the attraction of this great book is that we’ve lived through the events described, history was happening while we didn’t know. It’s excellent, it stays with you when you put it down. I recommend it. Still trust government? Read this. This book reveals how thousands of Nazis were welcomed into this country after (and during) WWII, being put to work in our own scientific endeavors or as spies for the CIA. "Nobody hated Russians like the Nazis", the thinking went. Members of death squads, doctors who performed experiments on Jewish prisoners, camp directors, SS officers, Hitler advisors; all welcomed and protected by agencies of our government, even as Nazi hunters found and attempted to prosecute some of them for their war crimes. Nazi hatred was replaced by the Red Menace, and many human monsters lived long, comfortable lives in America because of that. Disheartening and reprehensible behavior reported here. It would be inappropriate to say that I enjoyed this book, given its horrific tales both of Nazi cruelty and of CIA amorality. I did learn a lot, especially about the government, that I hadn't known before. This wasn't, however, a book that was easy to listen to with focus or comprehension, despite Malcolm Hilgartner's skillful presentation. The book didn't seem to follow a logical progression, and it was hard at times to keep track of the story lines concerning each Nazi. At times the book seemed downright repetitive, so that, bored, I would stop listening for a while. I kept wishing I had a table of contents to which I could refer as I listened; it would have helped me to get a clearer picture of the book's structure. At any rate, for those who, like me, don't necessarily know much about the post-war immigration - or importation - of Nazis into the US, the book is revealing. More hypocrisy in the McCarthy Era. The seamy side of America's war on Communism, is that the CIA let thousands of Nazis settle peacefully in the U.S. Lichtblau provides ample evidence of this premise. He does so in an interesting, and sometime sarcastic manner, that the reality of this situation would engender. His research indicates that the right wing Foster Dulles was the architect, of this policy. In addition to (overthrowing a few elected governments in Costa Rica and Iran,"info not included in this book") pardoning a few ex Nazis was on his to do list. After all, weren't the Communists our real enemy, and what's a few dead Jews, gypsies, and partisans between friends?? Yea, and I personally hate the airport named after him in D.C, and then there was the 'successful Bay of Pigs operation', (What, politicians with irrational fears making them do crazy things,- this could never happen, again ?) .but I won't let that get in the way of a good story. And this is an interesting and well authored book. I just dont get why we're not out in the streets with pitchforks & torches. Great book, compelling stories, great audio perf. the audio performance thankfully was well done, none of that overly hysterical or robotic stuff, smooth ssiling. The book-well, the stories are things I knew, but each one reads like a little morality play. You dont have to read chapters in order. 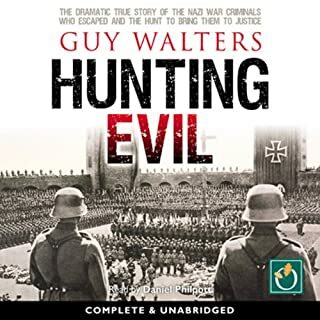 this riveting book shines a bright light, finally, on the stupidity of bringing Nazi war criminals into the US, paying them as spies against the communists. No real information of any consequence is discussed. Chilling. There were a few interesting stories, but the delivery and flow didn't capture my attention. I was expecting more depth, but it was more investigative than a step-by-step timeline piece.